Professional Golf of Malaysia (PGM) Tour's Palm Resort Championship on a day that saw the event reduced to 54 holes-BAD WEATHER IS THIS ELNINA AFTER ELNINO?. 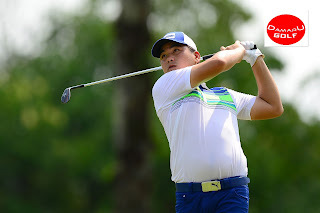 Danny Chia shot a second round eight-under-par 64 today to take the lead in the Professional Golf of Malaysia (PGM) Tour's Palm Resort Championship on a day that saw the event reduced to 54 holes. With the weather wrecking havoc at Palm Resort Golf & Country Club in Johor for three days running, the organisers declared that the RM200,000 event would be completed tomorrow - on the fourth day. Today saw the second round being completed, following the premature end to yesterday's action when play was called off in the afternoon, with several flights still complete their second rounds. Chia's second round had eight birdies in it and that left him on 14-under-par 130, with a two-shot lead and a round to go. Sweden's Oscar Zetterwall was second on the leaderboard following a 65. He was alone on 132 with Thailand's Jakraphan Premsirigorn and Sutijet Kooratanapisan joint third, another stroke back on 11-under 133. Teenager Suradit Yongcharoenchai, also of Thailand, carded a 64 of his own and was fifth on 134 - having climbed from 28th place overnight. Pleased with his performance today, Chia said: "I played well after I returned to complete my second round this morning. 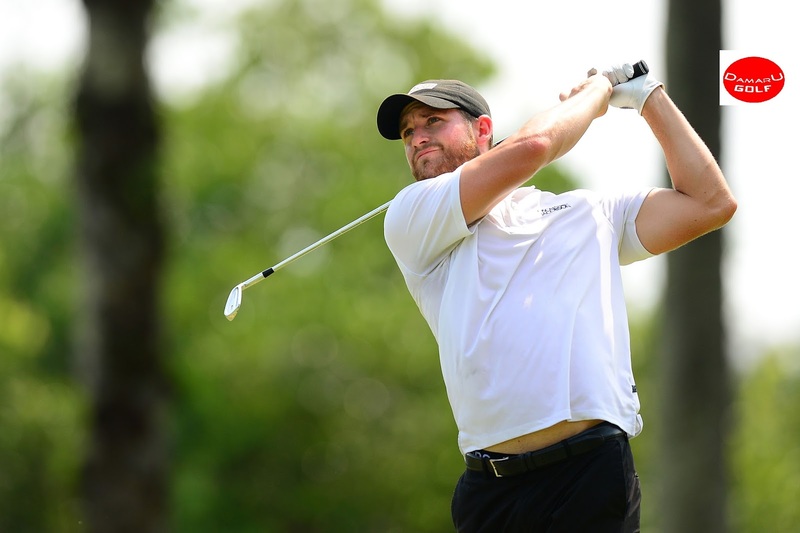 "The course has been set-up in such a way that there are many scoring opportunities out there and I took advantage of it. "It's always nice to shoot a bogey-free round and I'm playing consistently well at the moment, and that nice too." Looking ahead to third and final round, Chia added: "My goal has not changed and I hope to play as consistently as I can and hope also that the putts drop." About Professional Golf of Malaysia (PGM) Professional Golf of Malaysia (PGM) is a Company Limited by Guarantee, registered on 5th August 2010 in Malaysia. 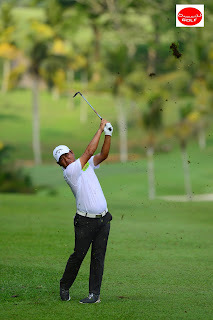 As a non-profit organisation, PGM’s objectives are to promote the sport of golf and to contribute towards its enjoyment and growth as well as to conduct and/or coordinate training on golf-related courses in order to enhance the playing capabilities and hone the skills of professional golfers in Malaysia. Our ultimate goal is to produce good Malaysian Professional Golfers in time for the Olympics in 2016 and to see Malaysians in the world ranking list. The PGM Tour provides a platform for Malaysia’s professional golfers to enable them to focus on playing while PGM shoulders the responsibility of arranging and financing these tournaments. To achieve these objectives, PGM organises a series of golf tournaments on an annual basis. In (2013) PGM hosted 22 tournaments offering prize money of over RM4 million, nine of which were co-sanctioned with the Asian Development Tour and three with the ASEAN Tour. The schedule for 2014 featured 25 tournaments offering prize money of over RM5 million, twelve of which are again co-sanctioned with the Asian Development Tour and three with the ASEAN Tour. 2015 promises an even bigger growth as the prize money now escalates to over RM6 million with both the Asian Development Tour and the ASEAN PGA co-sanctioning these events with us once again. 2016 will be our 6th year and we are going to continue our growth for the benefit of our players. This year there will be 12 Closed Championship while the remaining 12 will be the ADT tournaments. Labels: DANNY IS BREWING BETTER, Professional Golf of Malaysia (PGM) Tour's Palm Resort Championship on a day that saw the event reduced to 54 holes-BAD WEATHER IS THIS ELNINA AFTER ELNINO?.